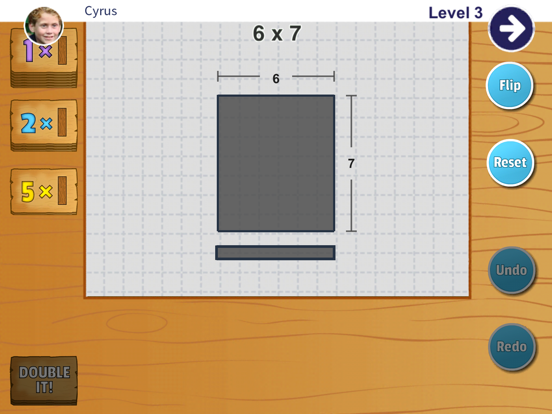 While most multiplication apps focus on drill-based approaches, Mt. Multiplis scaffolds learning to promote conceptual understanding, efficiency with multiplication strategies, and fact fluency. Mt. 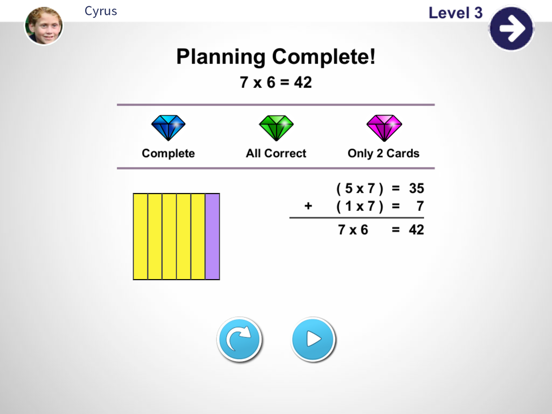 Multiplis EDU is the school version of an engaging game that teaches multiplication through the commutative and distributive properties. 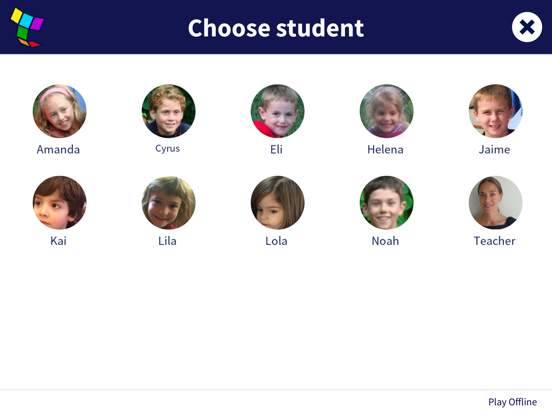 Designed to support Response to Intervention programs, this app gives struggling learners tools to help them access difficult strategies. Linka gets caught in a terrible storm while flying home after a successful treasure hunt. Children help Linka make her way through Mt. Multiplis by building bridges, unlocking treasure, and earning gems. Addresses several Common Core Math Standards. These standards expect third graders to use the distributive property when multiplying (CCSM.3.OA.B.5): “Knowing that 8 × 5 = 40 and 8 × 2 = 16, one can find 8 × 7 as 8 × (5 + 2) = (8 × 5) + (8 × 2) = 40 + 16 = 56.” Mt. 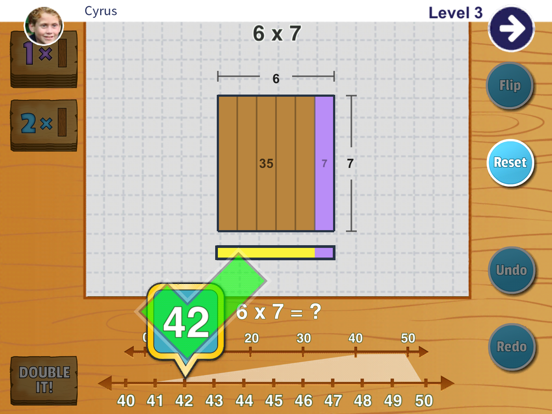 Multiplis is designed to make this complex content more approachable and fun for kids. Students can think strategically, seeing how 7 x 8 is the same as 5 groups of 8 plus 2 more groups of 8.